I had this Hollibaugh idea for this challenge but on a 3.5 inch tile it was hard to find tangles that would work in the small spaces of the Hollibaugh. Also my purple pen had a wide nib. Still, I managed it in the end. ﻿This challenge was set by Laura at I am the Diva. Love the contrast of the beautiful white moebius against the purple background of gorgeous patterns! Love it. The background is great. Wow, love the purple! You managed well! Yes, you did manage. 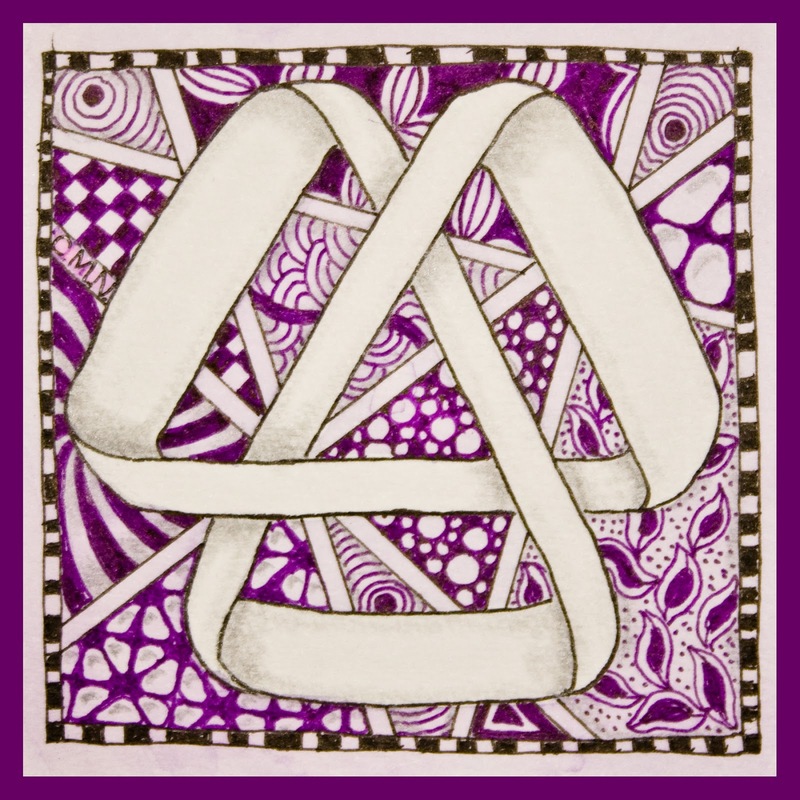 I love the way you had the moebius strip sit on top of the other tangles, and the purple is striking. 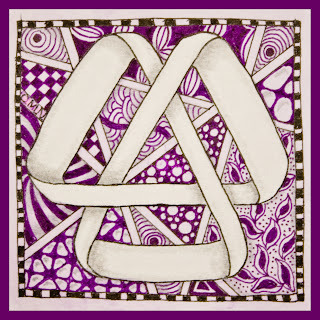 Great job by using purple tangles on the background and a simple not tangled moebius string on the front. I like this one a lot. Love the white logo and the purple backgroud. Great job, I like it!! Love how the logo floats above your Hollibaugh background! Great mix of patterns! Beautiful! Delightful choice of tangles Celia ! It's lovely! I really like the moebius ribbon plain - on top of the lovely background. Nice presentation. Having the tangles as a background sets off the Moebius strip. Beautiful work Celia! What are the names of all the tangles? Tangles used: AuraLeah, Bales, Hypnotic, Nightsbridge, Nzepple, Pepper, Shattuck.